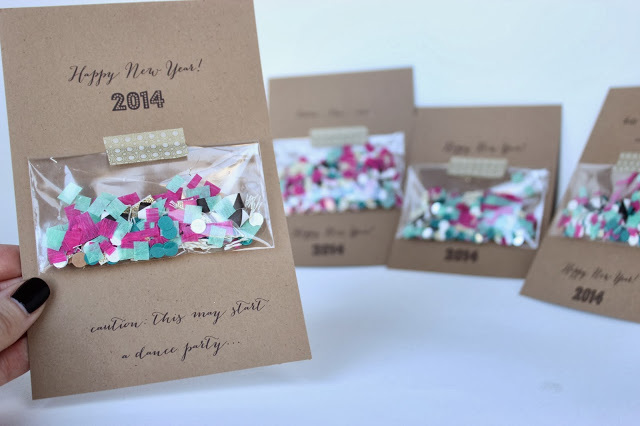 DIY CONFETTI PACK AND THE PERFECT PARTY FAVOR! 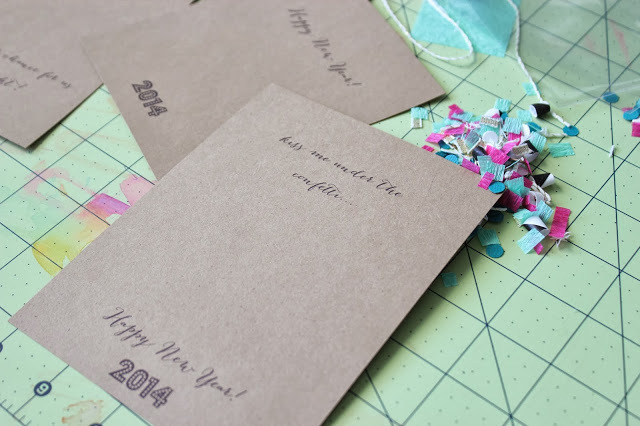 We are doing a little NYE project over here to get ready for the festivities tonight! 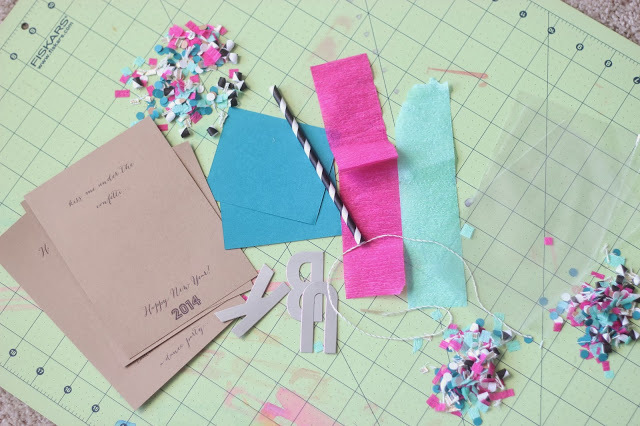 What is a NYE celebration without some confetti? 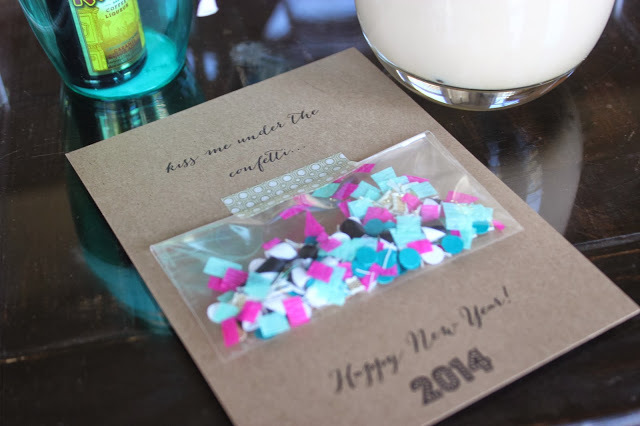 I put together mini confetti packs and taped them to card stock that I printed little phrases on with my ol’ epson printer. Haha! Super easy project, and so fun to hand out to any party guests, host/hostess, or just keep in your bag for your own mini celebration when the clock strikes midnight. 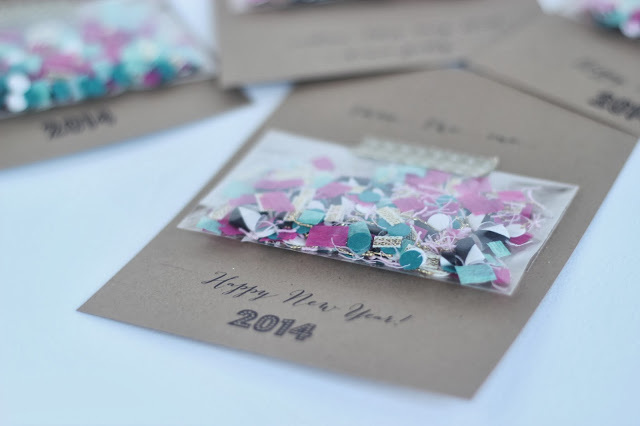 Confetti can be made out of ANYTHING (that doesn’t give you a head injury). I used a lot of leftover materials from Christmas like metallic chip board letters, twine that I shredded, striped straws, gold ribbon, teal and white card stock, and aqua and pink crepe paper. Have fun with it! 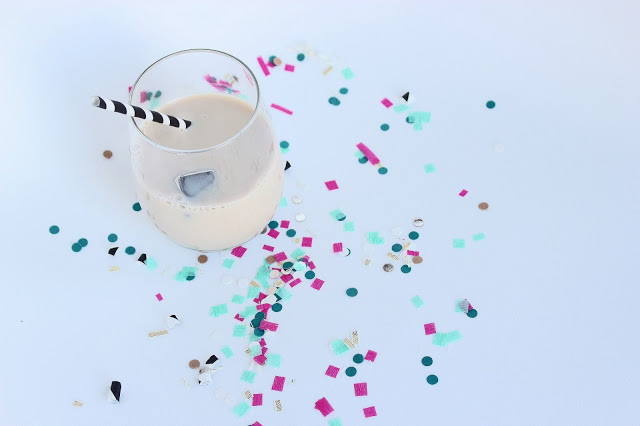 Champagne is definitely my drink of choice for a night such as this, but my husband prefers White Russians. Champagne is not always the manliest drink, so I get it. I put together a hostess gift for the couple hosting us tonight. I collected some mini shakers from the Target dollar section along with some chalkboard tags they had. Then, I added the mini drinks with a striped straw. 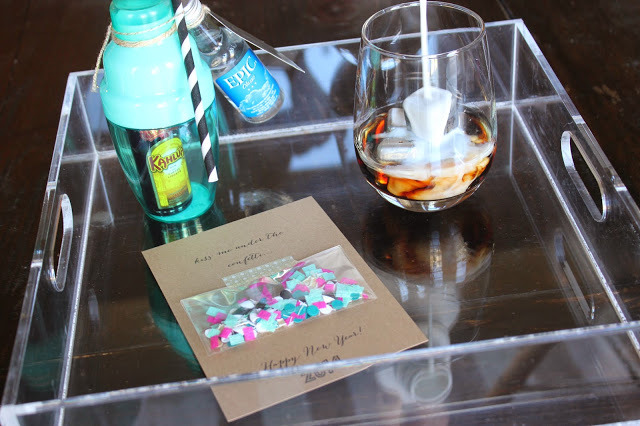 It would also just make a great party favor for any party. You could even buy these items in a normal size and gift it. Confetti and cocktails….yes, please!! Cheers!! 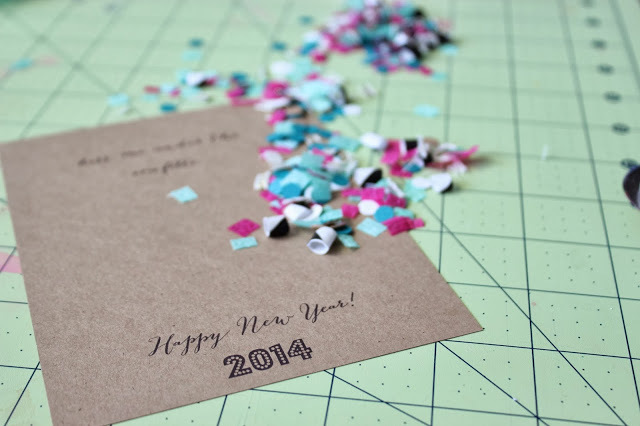 Please have a happy and SAFE New Year friends!! Have some of that responsible kind of fun!! Love this idea! 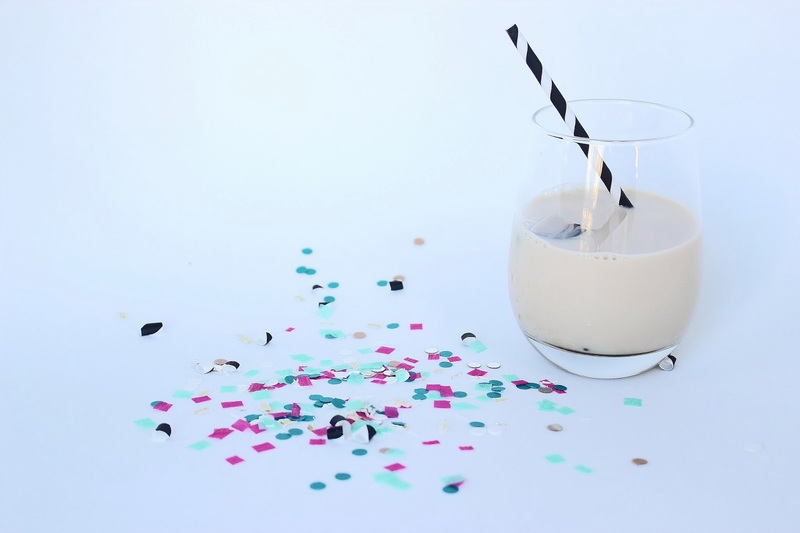 Especially the White Russian!